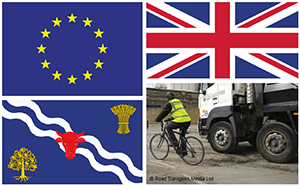 2015 is an election year and transport issues may feature prominently. This series debates some of the key issues at four different spatial scales. Seminars were delivered during Hilary Term (January - March) 2015 in the A J Herbertson Room, School of Geography and the Environment, Oxford. EU's Sustainable Urban Mobility Plans: Whose Politics? Politics of Infrastructure: Spineless Development?